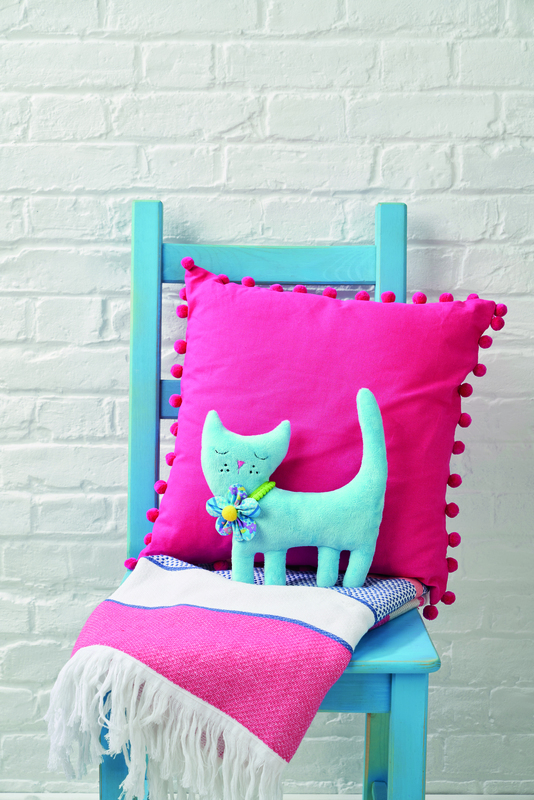 In LPQ issue 72, a Bunny Doorstop Project to sew! My latest project for Love Patchwork and Quilting is this adorable bunny doorstop! He’s made from a light caramel coloured plush fabric and has Liberty fabric appliqued details, as well as a fluffy wool pom pom tail….not seen in the picture here! Inside the bunny’s bottom there are baking beans to add some weight, so he can easily hold open your door. There’s also a Liberty fabric and felt carrot for an emergency snack. 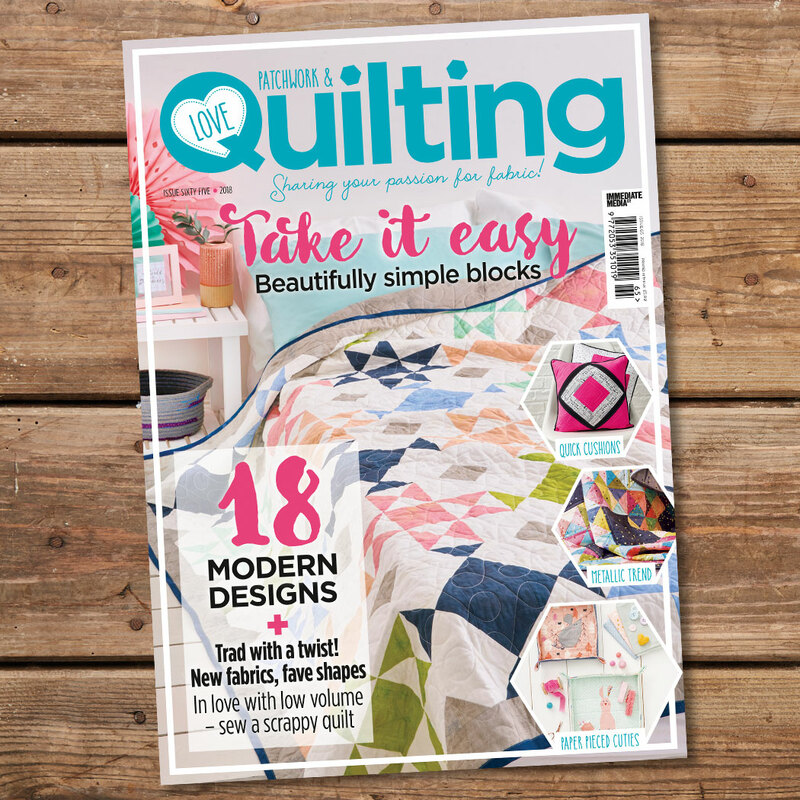 Issue 72 has all the step by step instructions you need to make him, plus the templates. So what are you waiting for!? 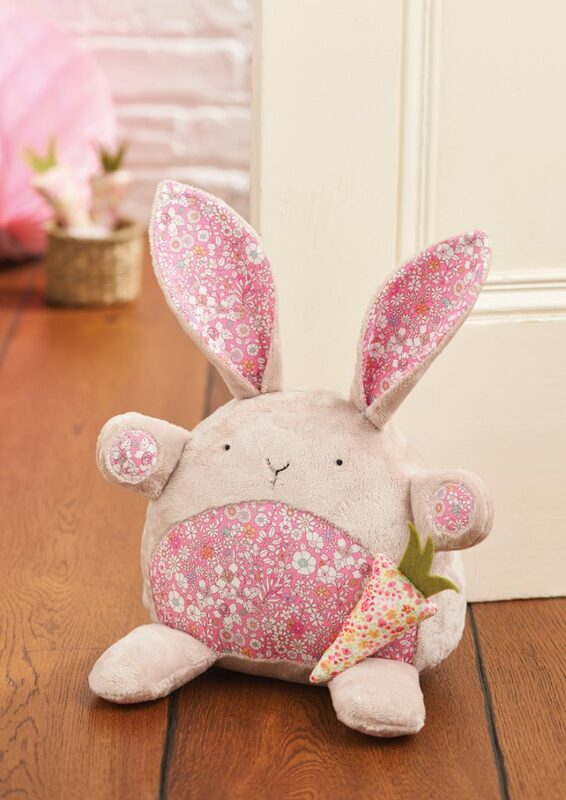 This little rabbit will really make a spring statement in your home! This entry was posted in Handmade, Patterns and tagged bunny doorstop, bunny softie, doorstop, issue 72, Liberty, Liberty fabric, Love Patchwork and Quilting, LPQ, Lucy Jane Ward, lucy ward, Plush fabric, rabbit doorstop, sew it yourself, sewing, sewing pattern, sewing project, The Whistling Cowgirl. 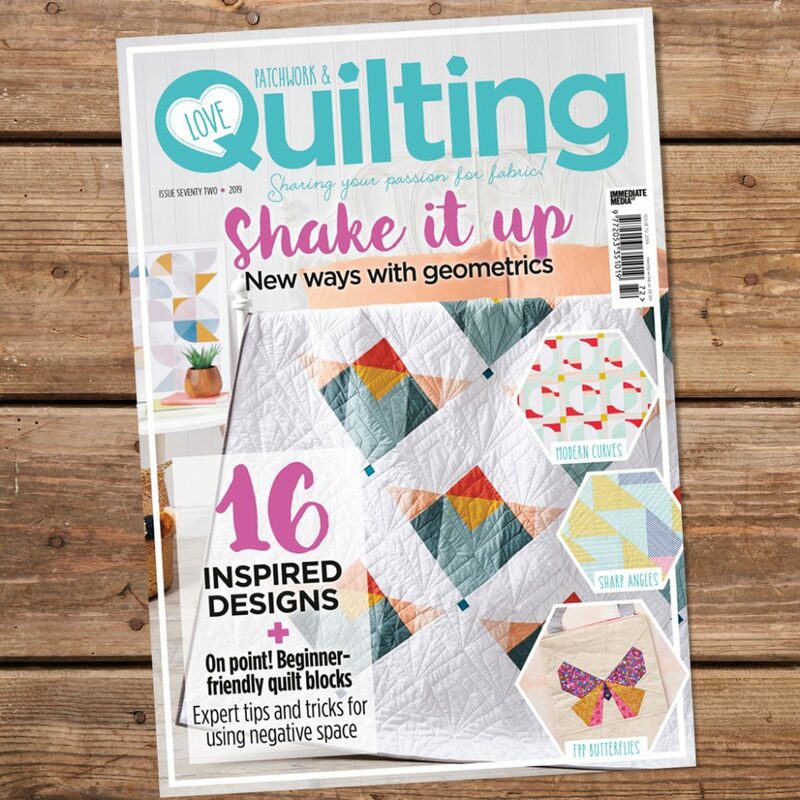 Pretty Kitty Sewing Project in Love Patchwork and Quilting Magazine….Make Yours! 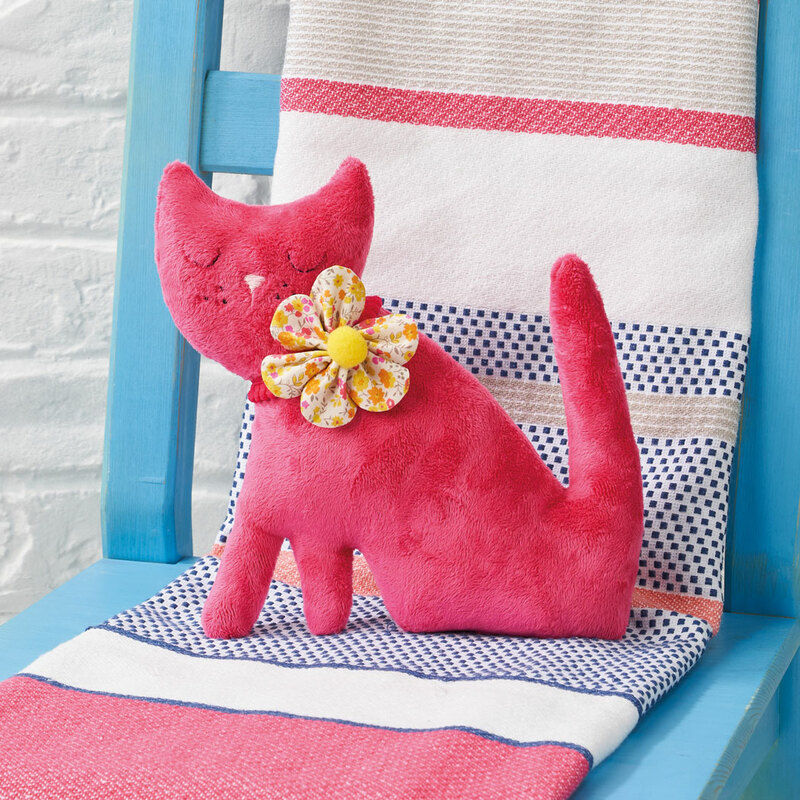 In issue 65 of Love Patchwork and Quilting you will find the templates and all the instructions you’ll need to make my pretty kitty soft plush toy! I’d love to see your makes, so do post them to Instagram or Twitter and let me see them! Tag me, thewhistlingcowgirl, so I can see them! You have a choice of two designs, either standing or sitting, and you can use up fabric scraps to make the adorable little flower collars. Here’s a couple of pictures of the ones I made for the magazine. I really loved making them and I hope you do too! This entry was posted in Handmade, Patterns and tagged handmade toy, lovepatchworkandquilting, LPQ, plush patterns, sewing, sewing pattern, soft toy pattern, thewhistlingcowgirl, toy templates.